Meet sniper-turned-actor Lee Sung-hyo! Sung-hyo is now well-known as a South Korean drama actor. Beforehand, he was a sniper in the Joint Security Area that secures the boundary between South Korea and North Korea. Sung-hyo’s involvement in the Korean military started in December 2001 and ended in January 2003. Let’s take a look at his profile below! Lee Sung-hyo debuted his career as an actor in 2006. He made his first appearance on Drama City, which is KBS’s mini-series drama that shows a different story per episode. Its cast changes every week, and Sung-hyo was one of them. The following year, he jumped to a drama titled Dae Jo Yeong as an extra. Then, in 2008, he took part as a supporting role in the historical action drama Strongest Chil Woo, also called All Mighty Chil Woo. In 2009, Lee impressed netizens through his acting in the historical romance drama The Great Queen of Seondeok. He played as a bodyguard named Kim Alcheon. Kim Alcheon was the queen’s loyal bodyguard who stayed by her side until the very end of her days. This sixty-two episode drama gained popularity and its highest rating was 45.8%. Through this drama, Lee Sung-hyo earned his first award as Best New Actor in MBC Drama Awards, and he became a rising star. Legend of Patriots, also known as Comrades, talks about Korean soldiers struggling to live and protect their country during a war era. The drama aired in the middle of 2010 with twenty episodes. Sung-hyo took the role as one of the Korean soldiers named Jung Taek Soo. It is actually related to his former job in the military, but he stated that it was still not easy. This was a special mini-series drama with four episodes. In it, Sung-hyo played as the lead role Eun Soo. Eun Soo is a professional hair stylist in the J Hair company and is also the chief’s ex-lover. Of course, the character has a very different personality from his previous characters, but Lee once again showed his ability to bring out the characters he plays. Another historical action drama played by Lee Sung-hyo, God of War consists of seventy episodes which last fifty minutes per. 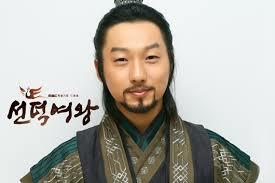 Lee played as King Gojong, a supporting character in this drama. God of War released in early 2012 at Munhwa Broadcasting Corporation. Released in October 2012, this drama came up as a sequel of Full House (2004). It is presented with a different character and story. The story tells about a love affair between two idols in a band and its stylist. Lee takes part as a supporting role. Set in the Joseon Dynasty era, the story tells about the prince’s struggle to help the king take care of Joseon Dynasty. In this historical action drama, Lee appears as a supporting role.